Japanese baths can be confusing – why? Because Japanese culture is very different from Western culture, all the way down to how one bathes and washes. Bathing is deeply ingrained into the heart of Japan, so it should come as no surprise that when you first arrive in Japan, you may feel a little lost about what the standard procedure is. But don’t worry! If you follow this short 10-step guide, you’ll be able to avoid any embarrassing incidents that foreigners in Japan often encounter. You may be very surprised when it comes to slippers in Japan. When in Japan, slippers are not something you simply wear when you’re at home, but there will often be occasions when you are required to wear slippers when you’re out too. For example, if you are frequenting a Japanese bar with tatami rooms, it is quite common that you will put on a pair of the provided slippers when going to the toilet. But it is not only bars that do this, but also tatami rooms, sports halls, and schools that may have their own slipper or inside footwear policy. 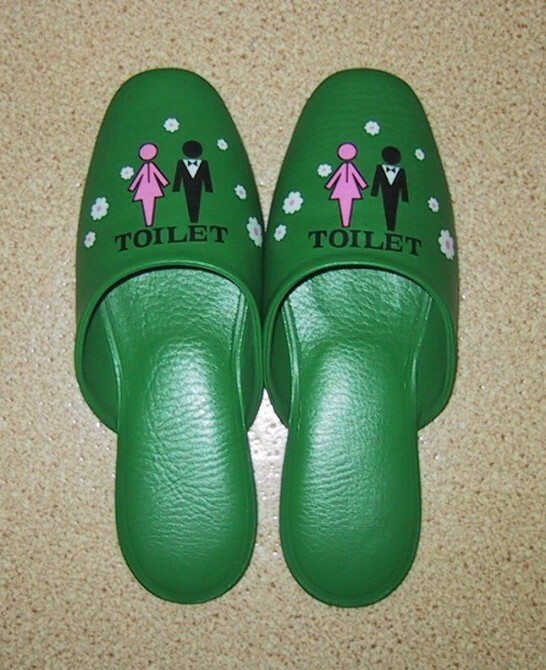 Japanese houses too often have a pair of bathroom slippers for you to wear when you go to the bathroom. This slipper culture often makes floors in Japan very clean. It is when it comes to the bathroom that Japan shines as a country of technology. 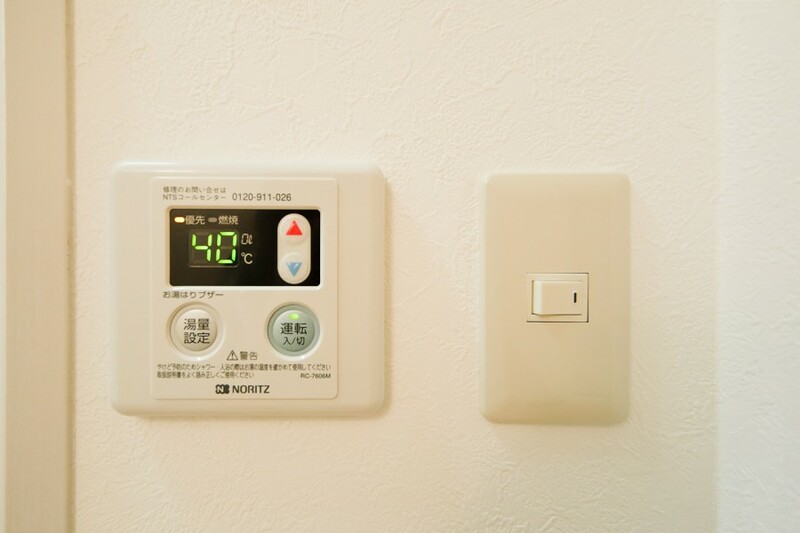 Many baths in Japan come with heating control. Once you set your ideal temperature, you no longer need to worry about how hot the bath will be. You can also use settings to maintain this temperature, or even reheat the water. The standard temperature may also be slightly hotter than what you are used to, so be careful! One of the most important differences between Japanese and Western bathing is washing prior to getting into the bath. In Japan, make sure to wash yourself before getting into the bath. The bathroom will be especially designed for water drainage, so don’t worry about getting things wet. After you’re finished, thoroughly rinse yourself of any soapy water to keep the bathwater clean. 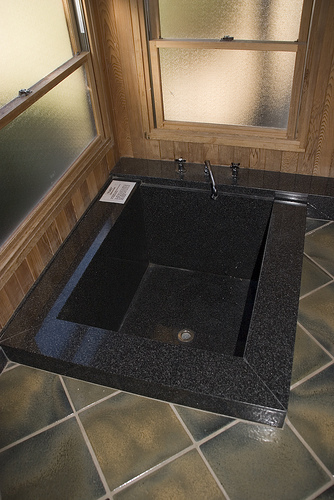 Japanese bathwater is supposed to be clean and clear so that you can enjoy a relax bath. Showers in Japan are used slightly different that they are used in the west. You are probably used to standing under a nice spray of nice warm and relaxing. 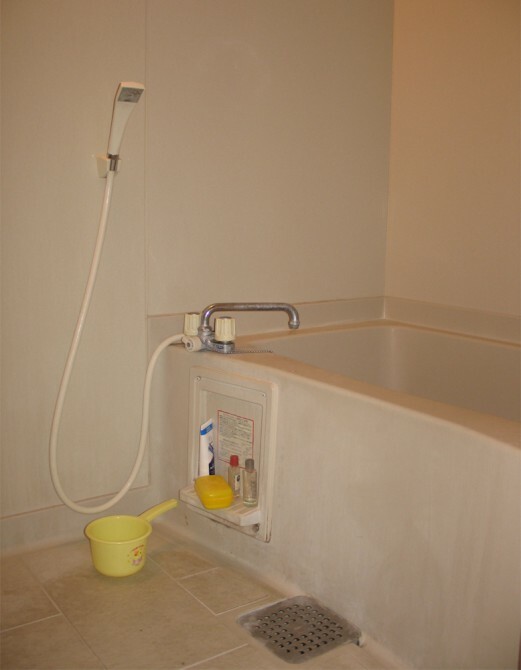 In Japan however, showers are usually took off their hook and are used to directly spray the area you want to clean. There may even be a small plastic box to sit on whilst you do this. If you’re particularly tall, you may have trouble using a shower at some Japanese hotels. 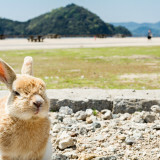 Due to a difference in average heights, people who are tall or large may come into some inconveniences when in Japan. Although there is a large variety of bath powders, bath bombs and other related bath products that you can buy pretty much anywhere, you should be aware than in Japan using these is not always accepted. Hotels often sell products to add to your bath, and I have known some that give you some free. However, if you’re staying at someone else’s house, you shouldn’t add anything to the bathwater without checking if it is okay first. Furo (Japanese bath) | Flickr – Photo Sharing! Now that you’re in the bath, you may be thinking ‘what the hell?’ – I’m sure you will have noticed that the bath is a little small to what you’re used. However, a traditional Japanese bath has a short length but is very deep. This is probably due to how baths were made in ancient Japan times; often they would use barrel like container which you then heated from underneath. Nowadays, the baths are still typically designed for sitting in, rather than outstretched-legs position you may be used to. Despite the picture, most baths these days are made of plastic. As mentioned earlier, it is important to keep the water clean and pure. You also need to remember that you may not be the only one in the household that will use the water in the bath; so after you’ve had a nice, long soak yourself, remember not to drain the water! This is where the reheating function comes in particularly useful. Even if someone has a bath in the morning, the same water can then be reheated and used in the evening – efficient, right? As you may have realised by now, Japanese baths are not for cleaning yourself, but rather they are for relaxing. Spend 10 or 15 minutes simply trying to undo some of that stress on your body from the busy Japanese day that you just had. If you feel yourself getting dizzy or light-headed, make sure to get out of the bath. For many people (the Japanese included), hot baths can lead to dizziness and fainting, so it is important to be extra careful if you are not used to this extra hot style of bathing. 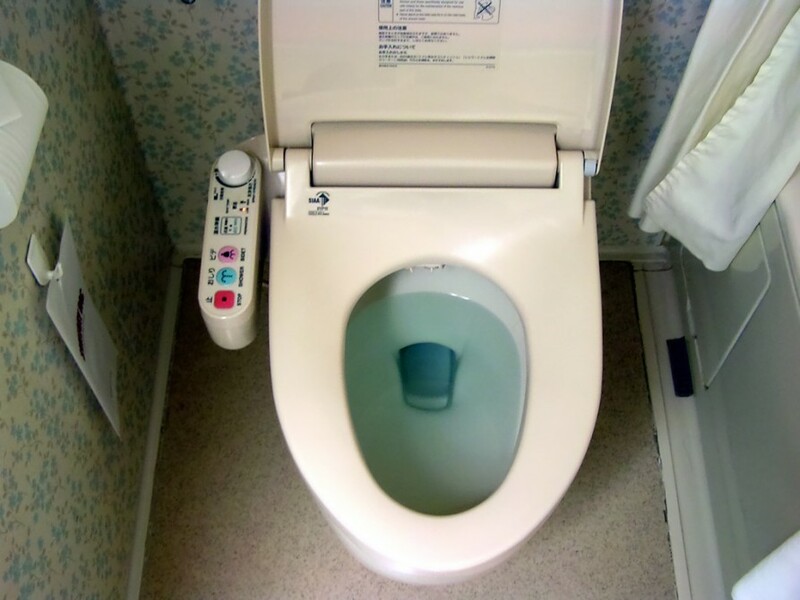 Japan has two notable toilet styles. One that will blow your mind with futuristic gadgets and buttons – the other, which may have you turning around looking for somewhere else. Most places will have a typical western style toilet, and in many homes they will come with an array of gadgets such as spray, bidet, water temperature, dry, and even sounds to mask your own bodily sounds. Since the buttons are labelled with easy to understand pictures, it shouldn’t take long to grasp how to use them. The traditional style toilet, although decreasing in number, can still be found in public areas such as parks. Similar to the old European style, these toilets are basically a whole in the ground which you squat over. Due to Japan being situated on the Pacific Ring of Fire, onsens [温泉], (Japanese hot springs) can be found all over the country. They follow many of the same rules as normal bathing does. 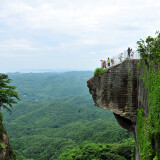 You will probably be given slippers, you will also need to wash before entering the onsen. The onsens are divded into male and female. Usually the male onsen will have a blue curtain with [男] written on, and the female a red curtain with the character [女] written on. The actual onsens are usually entered without clothes, so those who are a little shy should be prepared for that. 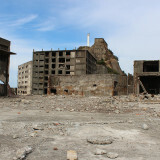 Although given a small towel, these towers are not supposed to be taken into the water. 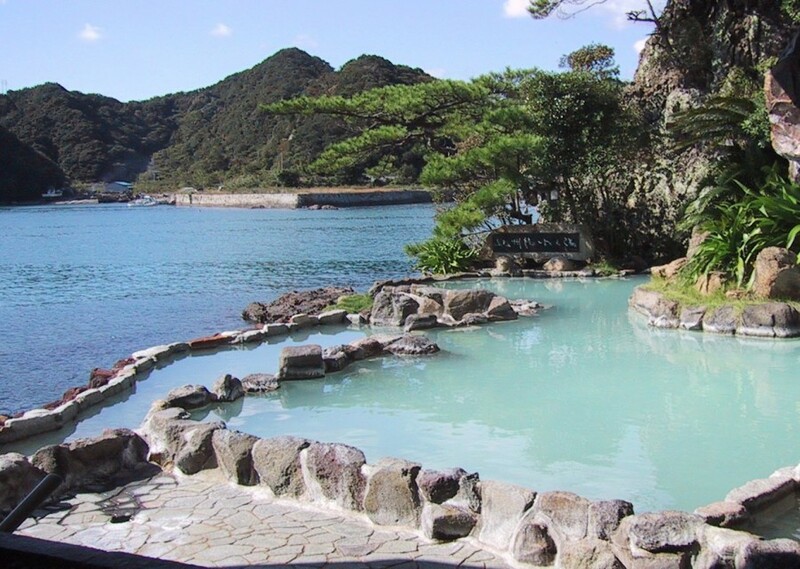 There are many types of hot springs you can enjoy whilst in Japan. 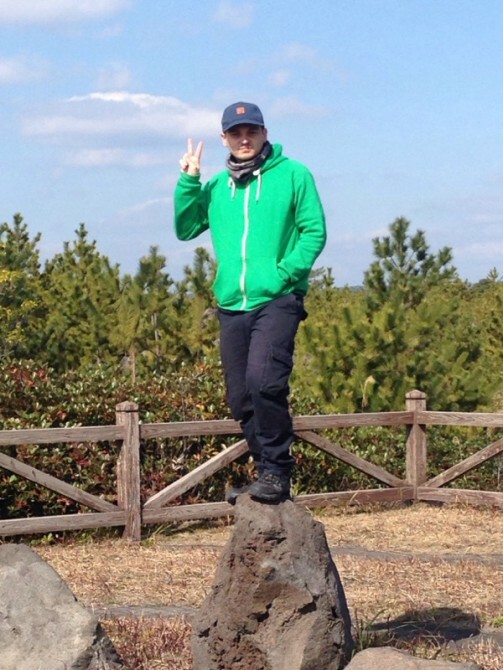 Natural onsens, outdoor onsens, even sand onsens – so for those of you who love bathing, it is recommended that you definitely check some of these out! So that ends the guide to Japanese baths and bathing etiquette. If you bear these points in mind, you shouldn't run into any problems. And even if you do, as a foreigner I'm sure it won’t be a problem. You may also get told that taking these extra warm baths are healthy. With increased blood flow in the hot waters and mineral rich onsens, evidence suggests it really is good for you. So relax, take a nice long soak, enjoy yourself and watch that stress float away!